The administration of Gov. 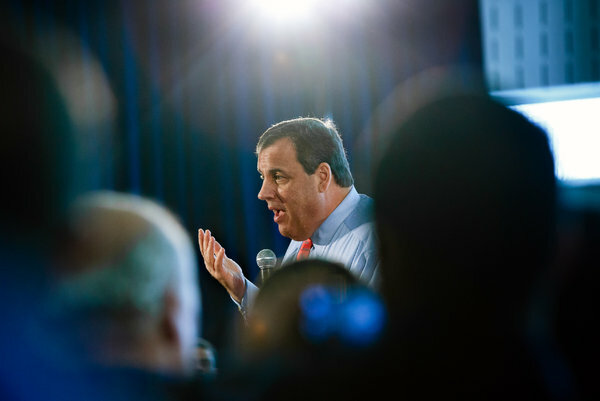 Chris Christie of New Jersey declined to comment on the legal fees issue in the Exxon case. New Jersey’s decision to settle a multibillion-dollar pollution lawsuit with Exxon Mobil Corporation has come under broad criticism, as lawmakers and environmentalists have questioned why the state would agree to accept only $225 million — a small fraction of the $8.9 billion in damages it was seeking in court. But if the deal is approved, the state will not even get that much: New Jersey’s recovery will most likely total about $180 million or so, after legal fees and costs are deducted, records show. The litigation was handled on a contingency basis by an outside law firm, Kanner & Whiteley of New Orleans, which specializes in environmental lawsuits. The firm, retained by the state, had worked closely with the state attorney general’s office and Department of Environmental Protection, the records show. A state official said on Monday that the Kanner firm would receive roughly 20 percent of any recovery, if the settlement and legal fees were approved by a judge. The official spoke on the condition of anonymity because the settlement papers have not yet been made public. In a decade or so of litigation in the Exxon case, the state, working with the Kanner firm, won key rulings on liability. Last year, a trial commenced to establish what damages Exxon should pay for contamination at two refinery sites in northern New Jersey. In November, after the trial ended, the state argued that the “scope of the environmental damage resulting from the discharges is as obvious as it is staggering and unprecedented in New Jersey.” Exxon said it should not pay any damages. The judge, Michael J. Hogan, was believed to be ready to rule in January when the attorney general’s office asked him to hold back and then informed him that a settlement had been reached. The statement said that Mr. Hoffman’s office negotiated the deal, “working in coordination” with Mr. Martin’s agency and the office of Gov. Chris Christie, a Republican. A spokesman for the Christie administration on Monday declined to comment on the legal fees issue. Exxon, meanwhile, was represented by a legal team led by Theodore V. Wells Jr., a partner and co-chairman of the litigation department at Paul, Weiss, Rifkind, Wharton & Garrison, a prominent Manhattan law firm. The Kanner firm, which declined to comment for this article, helped the state assess potential lawsuits under the initiative and try cases that could not be settled, according to a biography of the firm filed in court. The firm was also assigned to handle the Exxon suits, which sought damages for contamination by refineries in Bayonne and Linden, also known as Bayway. The firm was to be paid on a contingency basis, with a sliding scale that included a fee of 20 percent of recoveries over $25 million after a trial begins, according to the retainer agreement, signed by the attorney general at the time, Peter C. Harvey, and the lawyer Allan Kanner. A judge later invalidated that fee scale, saying the rates had to comply with New Jersey’s court rules, which do not specify a percentage for recoveries over $3 million except to say the fees must be “reasonable.” The fees also had to be approved by a judge. Since that ruling, the attorney general’s office has endorsed the original fee scale, including the 20 percent figure, as “presumptively reasonable,” according to a 2010 filing by the office in a $3 million settlement handled by the Kanner firm. Under the state’s retainer agreement, litigation costs are born by the outside firm if there is no recovery by the state. In deciding whether to approve the legal fees in the Exxon case, Judge Hogan would quite likely consider issues like the risk the law firm undertook, the number of hours its lawyers worked and their standard billing rates, said John Leubsdorf, a law professor at Rutgers University who has written extensively about legal fees. The fact that the attorney general’s office settled for significantly less than the state had been seeking, however, would probably not be a consideration, he said.